With a new diesel engine and best-in-class tow ratings, the 2019 Ford F-150 can't help but leave the competition in the dust. 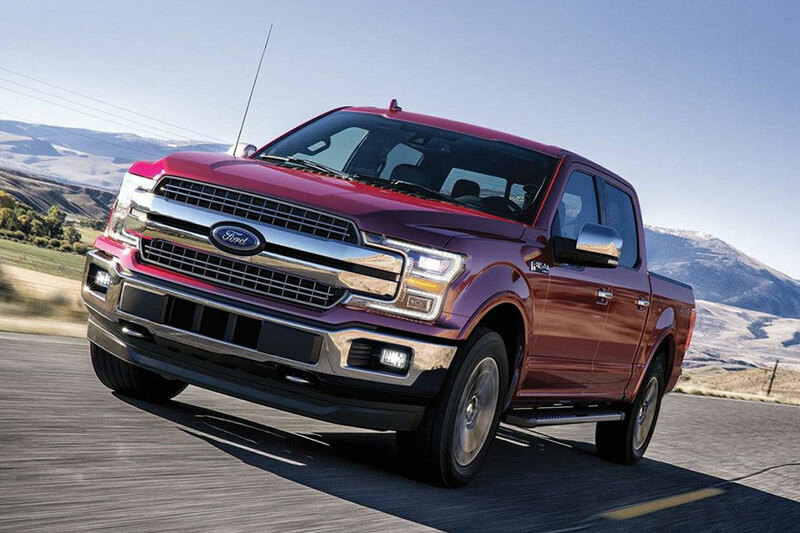 This year, the F-150 rolls out the big guns with its first-ever diesel engine, a 3.0-liter V6 designed for premium towing performance and optimal fuel economy. The F-150 Limited and Raptor trims also get some new equipment, with the 3.5-liter V6 engine and 36-gallon fuel tank standard for both. Every single one of these trucks now comes standard with forward collision warning. In addition to warning you of nearby danger, this technology can also hit the brakes on your behalf, potentially bringing you up short of an accident. Why choose the 2019 Ford F-150? America's bestselling truck gives you a lot of reasons to love it, including best-in-class tow ratings, impressive fuel economy, and nimble handling for such a big vehicle. 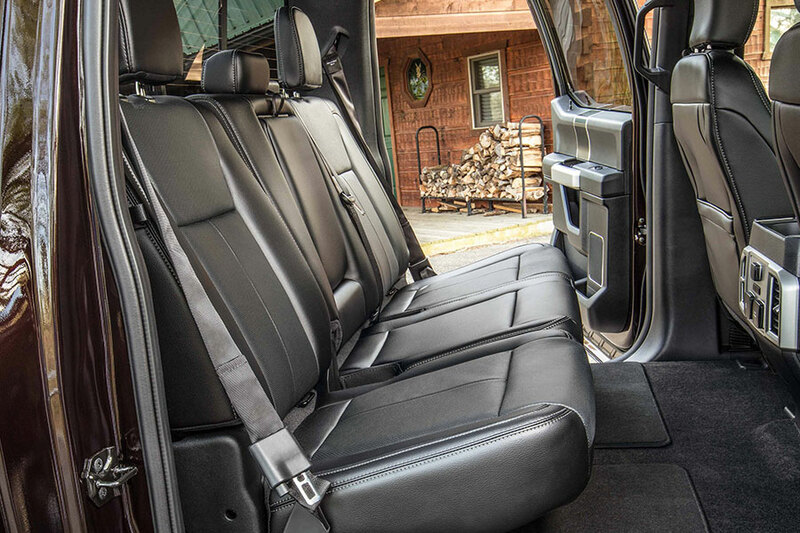 This full-size truck also offers a long list of configurations - with three cabins, three bed sizes, six trim models, and five engines from which to choose. There's an F-150 for every kind of driver, whether you're looking for a capable truck with an affordable MSRP or a luxurious family hauler decked out in chrome trim. What's the 2019 Ford F-150 towing capacity? What's its max payload rating? 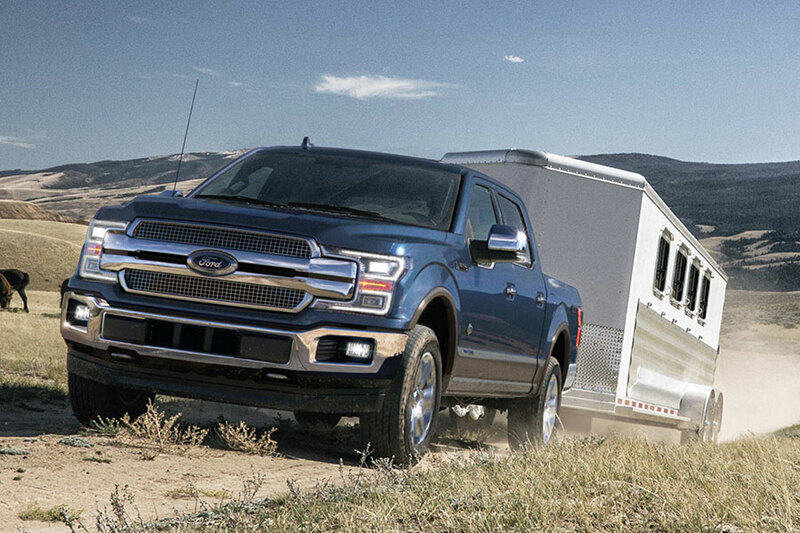 If you're looking for a full-size truck that tows more than the rest, the F-150 is it. With the top-of-the-line 3.5-liter V6 engine and the right equipment, towing capacity reaches 13,200 pounds. Drivers who need to tow heavy machinery, a double horse trailer, or a huge family camper can definitely get behind this full-size truck. For drivers who plan do a lot of towing, the diesel engine delivers both ample torque and optimal fuel economy. With the right body style and axle ratio, the new diesel engine helps you tow a conventional trailer weighing up to 11,400 pounds. The F-150 is also known for its ample hauling capabilities. Max payloads reach 3,270 pounds. If you've got work supplies and tools to transport, Ford's full-size truck easily gets the job done. Alternatively, you can load up your family camping gear and head out into the wilderness with everything you need for a weekend full of adventure. What's the 2019 Ford F-150 fuel mileage? The new F-150 diesel engine achieves more than a smooth towing performance - it takes fuel economy to the next level. With it, the F-150 is EPA-rated for up to 22 city/30 highway mpg. The thriftiest gas-powered engine is the turbocharged 2.7-liter EcoBoost, which gets you up to 20/26 mpg. All in all, you won't find a full-size truck that's thriftier than the F-150. The Ram 1500, for example, maxes out at 20/25 mpg. The Chevrolet Silverado 1500 follows with max ratings of 20/23 mpg.